DifferenceMakerTM held its forth workshop event last night, on Wednesday March 5th from 6-7:30pm in Kitson 309 on North Campus. Over 40 students were in attendance! This workshop taught DifferenceMaker students how to identify all the resources needed to further their projects and ideas. The night began with networking, pizza and soda. Then Professor Chad Montrie, from the College of Fine Arts Humanities and Social Sciences engaged the student audience through an interactive PowerPoint presentation that included group brainstorming activities along the way. This presentation, as well as the open discussion layout of this workshop allowed students to uncover the resources needed for their specific projects. This included funding, team members, specialists, physical space, software and more. At the end of this workshop students were broken into teams to brainstorm every resource needed for a specific project. Those teams then presented to the student audience and received feedback. To end the night Professor Steven Tello, Associate Vice Chancellor of Entrepreneurship and Economic Development presented a sample 3 minute rocket pitch. This pitch was an example of what is expected of each student team at the Preliminary Pitch-off and Final Idea Challenge events. If you could not make it to this workshop, please view the DifferenceMaker resource page where all workshop materials will be posted for your convenience within 24-48 hours after each event. In addition, pitch coaching will be taking place on March 24th and 25th. Each DifferenceMaker applicant will be receiving an email to schedule a time for coaching. For more information regarding the DifferenceMaker Program, please visit www.uml.edu/differencemaker or email us: differencemaker@uml.edu. 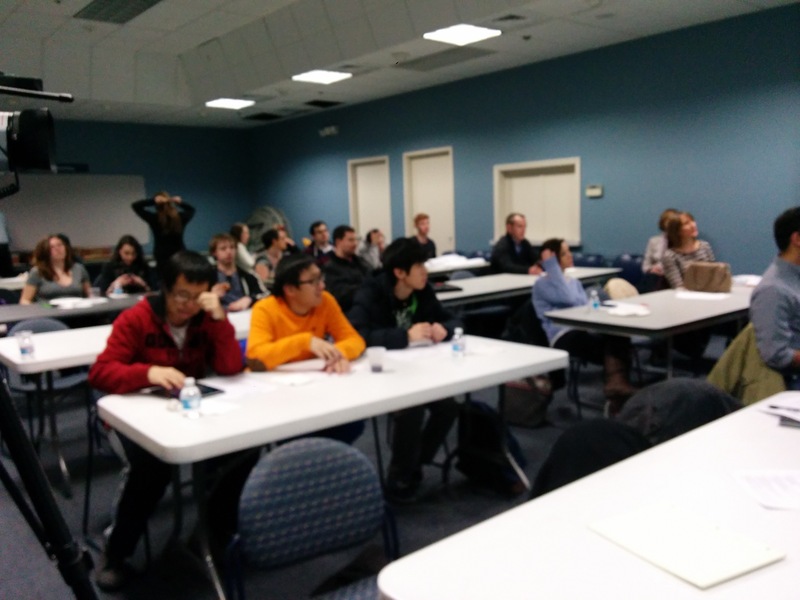 DifferenceMakerTM held its third workshop event last week, on Friday February 28th from 6-7:30pm in Kitson 309 on North Campus. Despite being held on a Friday evening, over 30 students were in attendance! 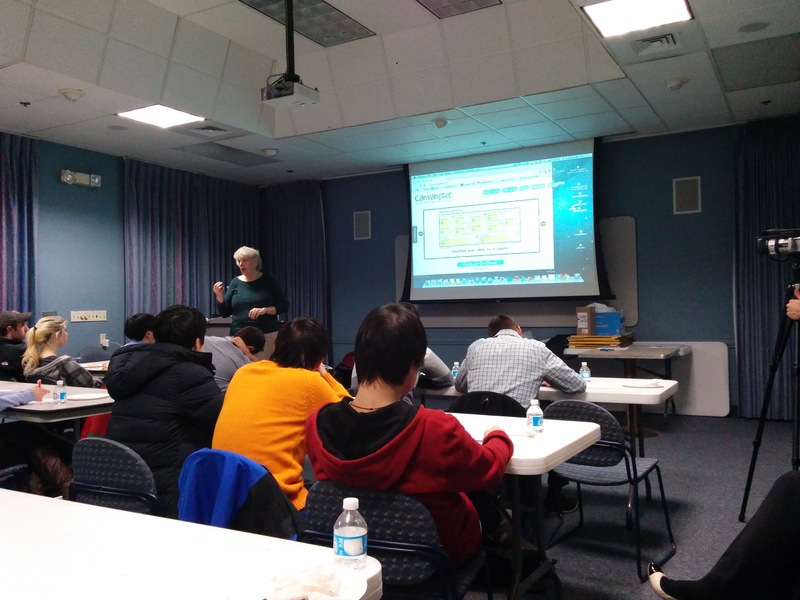 This workshop taught DifferenceMaker students how to develop a solution to their projects problem. The night began with networking, pizza and soda. Then Professor Valerie Kijewski, Associate professor in the Manning School of Business engaged the student audience through an exciting PowerPoint presentation that included fun educational video clips. This presentation, as well as the videos discussed the ways to go about developing a solution to a chosen problem. This included talking to specific customers, assessing the pains and gains associated with that problem and solution, and conducting market research. At the end there was an open discussion where students were able to talk about and address any problems they were facing thus far. Professor Kijewski, Professor Tom O’Donnell, and Professor Deb Finch, all from the Manning School of Business were at the workshop and able to answer each question asked. The student audience found this quite helpful because each of their projects are very different from one another (for profit, non-profit, technology based, service based and so on) so it allowed for specific feedback and guidance. If you could not make it to this workshop, please view the DifferenceMaker resource page where all workshop materials will be posted for your convenience within 24-48 hours after each event. In addition, please attend our last workshop (Identifying Resources) this Wednesday, March 5th from 6-7:30pm in Kitson 309 on North Campus. For more information regarding the DifferenceMaker Program, please visit www.uml.edu/differencemaker or email us: differencemaker@uml.edu.